In the age of email and instant messaging, snail mail has quickly become a relic of the past. But there seems to be a growing market for sending messages via personal potato. That's right, Potato Parcel, an up-and-coming company, has built a healthy business sending potatoes etched with personal messages. For $9.99 plus shipping, you can send a custom potato message of up to 15 words to anyone in the US. For just $14.99 plus shipping you can send your face, a friend's face, or the face of a celebrity printed on a potato. While you may doubt the viability of such a business model, it's interesting to note that a handful of copycat companies have sprouted up to harvest the potato-messaging market with some success. Although niche oriented potato-messaging companies are somewhat esoteric, some community banks have made significant strides by focusing on other unique niches. For some banks this might be dental practices or home health care providers. For others, it might be veterinary clinics, non-profits or medical supply companies. 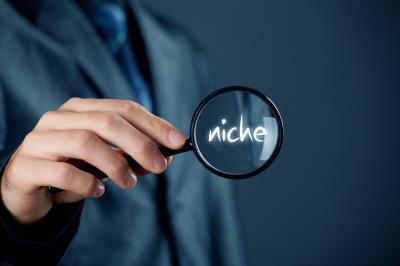 Focusing on a particular niche can be very beneficial. First off, it doesn't tie you to a specific geography, which can be problematic in the case of a regional downturn. Second, it means you are actively choosing your customers as opposed to working with anyone who visits the bank. One community bank we worked with recently on segmentation analysis found members of the medical community were several times more profitable than the bank's "average" customer. To grow this segment, the bank developed products, services and expertise designed specifically for the medical community. Much of this product development required the bank to merely re-package existing products to highlight their appeal to the medical community. Further, this bank sponsored seminars for the medical profession and marketed its expertise to practice management firms that manage the back office functions of medical practices for a fee. After doing all of this, over an 18-month period the bank saw its profitable medical segment grow by more than 20%. Another community bank customer of ours demonstrated its expertise in the dental practice industry through extensive white papers and educational videos on its website. Additionally, this bank designed its website to illustrate how its product and service offerings can benefit dental practices. This online presence, combined with the bank's partnering with consultants in that industry, served the bank well in building its business. Catering to a niche market takes additional work, but it is not as difficult as you might imagine at first. This is especially true if you are already doing a good job of segmenting your customers. Of course, banks will need to tread carefully because regulators don't like to see a heavy concentration in any one particular area. Regulators are so concerned about banks whose loan portfolios are overly focused in one industry that they have even issued fairly frequent guidance on the subject, so be careful. If you do decide to aim for niche markets, be prepared to show regulators that you aren't overly concentrated in any one. By developing niches and placing reasonable limits on exposure, banks can maximize profits in budding areas they may not have previously considered. Finding niches is a good thing, because after all - there is definitely more than one way to serve a potato. Yields dipped 3bp following weaker than expected inflation data. Research by Ally Financial finds 80% of consumers with credit cards would prefer to have multiple financial products with the same bank if they earned rewards for doing so. Research by Korn Ferry finds almost 60% of American workers left vacation time unused last year and 67% said they heard nothing from bosses about using the time, got mixed messages or heard negative comments. Research by the World Economic Forum on jobs finds that in the financial services industry, respondents said the ease of recruitment currently was "hard" and the ease of recruitment in 2020 would be "harder". A KPMG survey of 100 executives at banks with assets between $1B and $20B finds respondents indicate the following likelihood that their bank will be involved in M&A in the next year: no plans (11%), very or somewhat likely as a buyer (40%), very or somewhat likely as a seller (43%). Research by Nilson finds more than 85% of credit card purchase volume is concentrated among the top 10 issuers. Research by Fidelity finds that 72% of families are saving for their children's college today, a 24% increase vs. 2007. A Deloitte survey of CFOs at large companies finds experience levels in years are as follows: <5Ys (46%), 5 to 10Ys (25%), 11 to 20Ys (24%) and more than 20Ys (5%). Research by Bank of America Merrill Lynch finds: Robots will likely perform 45% of manufacturing tasks by 2025 vs. about 10% today. Also of note, the research finds about 47% of US jobs have the potential to be automated.